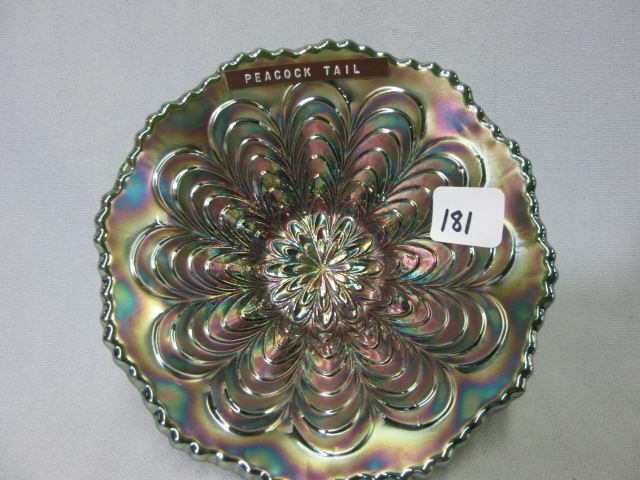 Fenton used its Peacock Tail hats as advertising pieces for several companies. 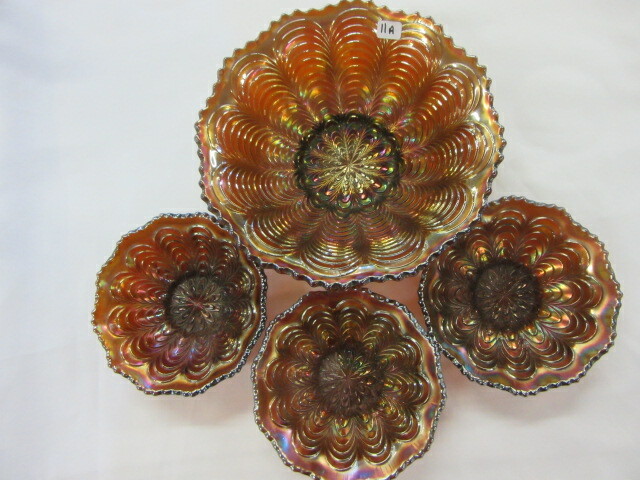 While the General Furniture hat is shown above, the others are quite similar. 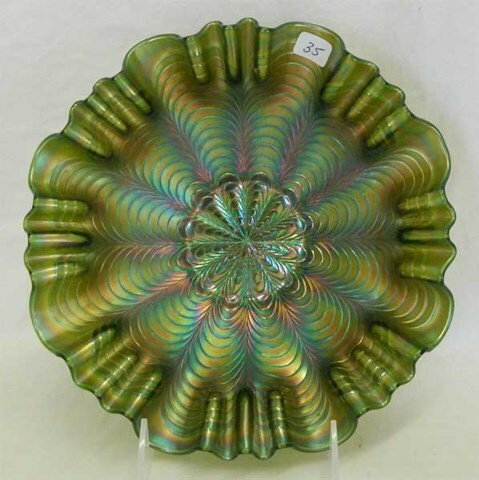 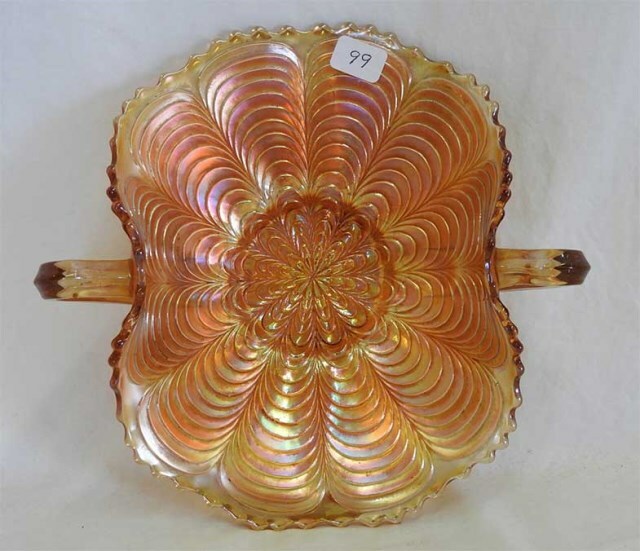 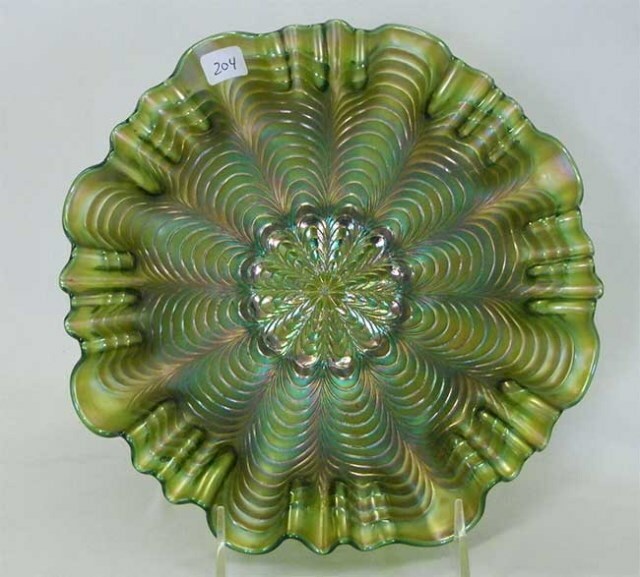 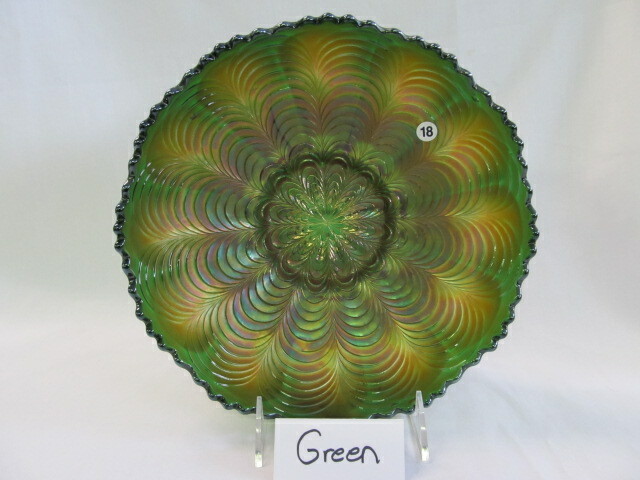 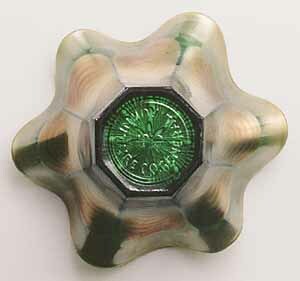 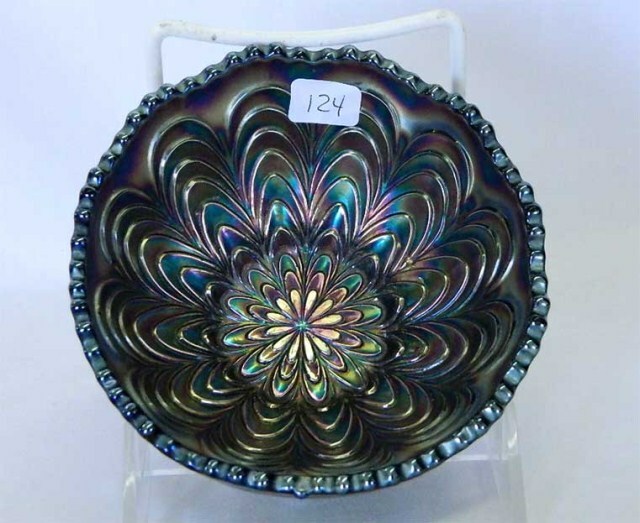 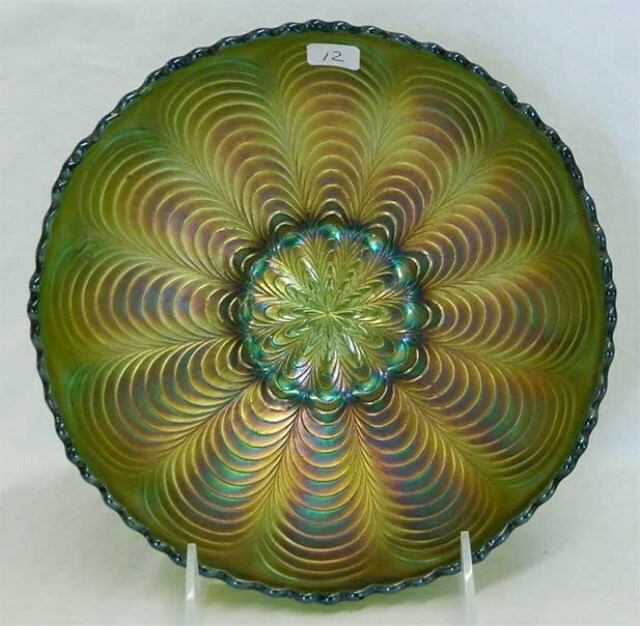 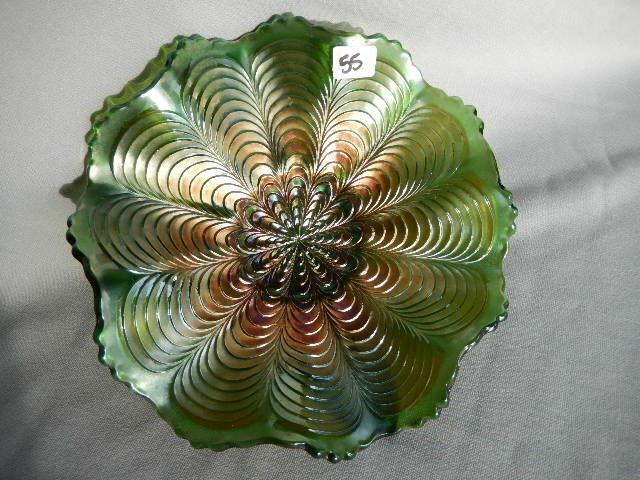 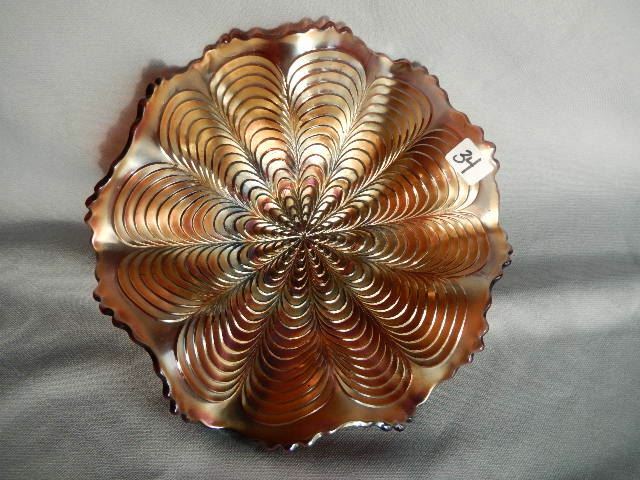 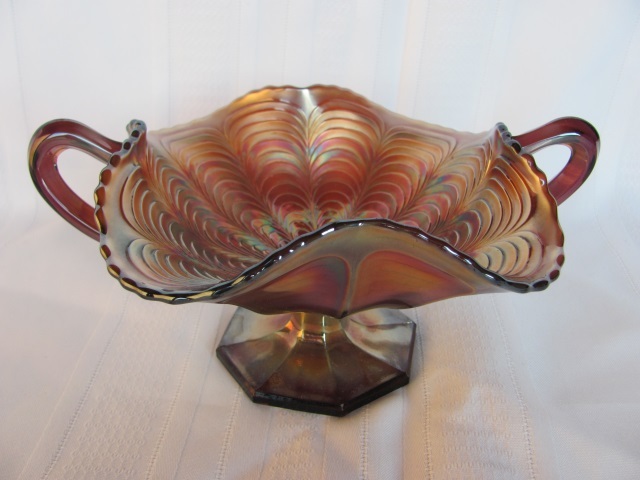 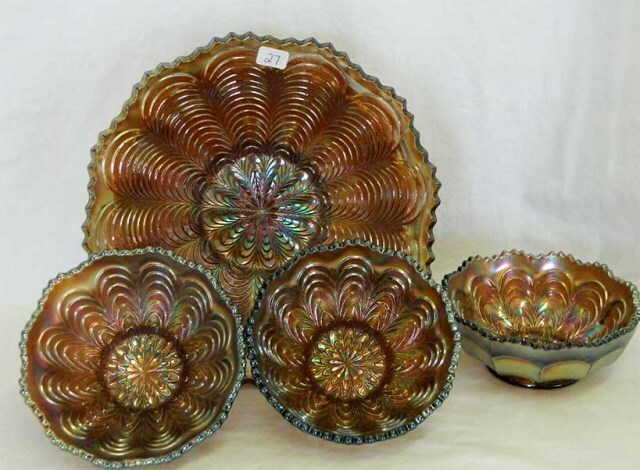 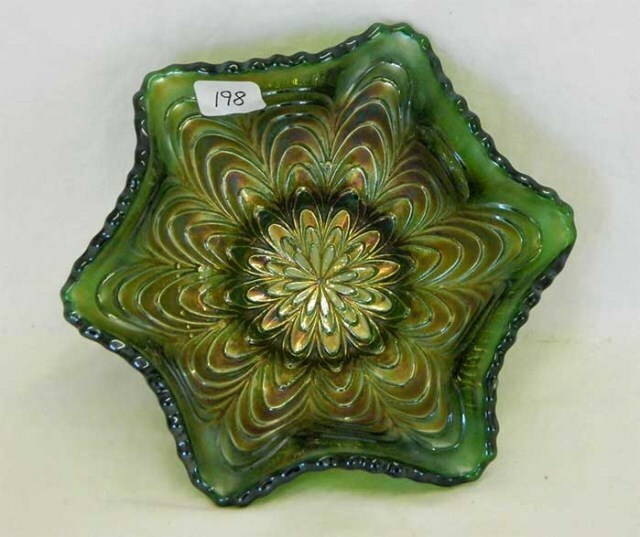 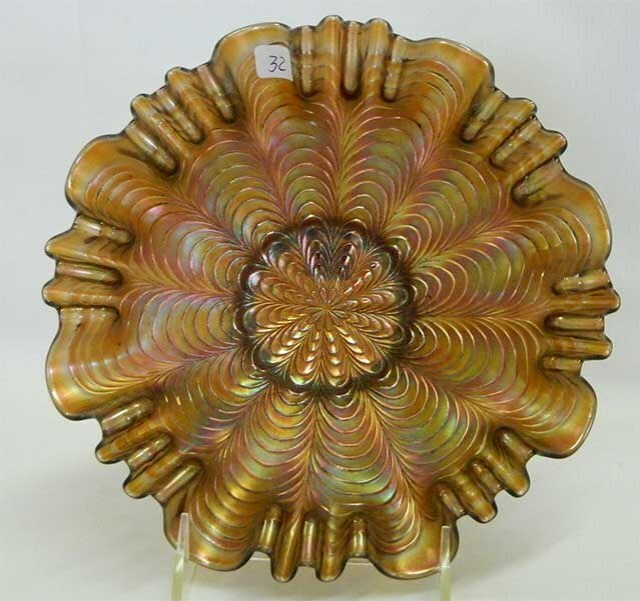 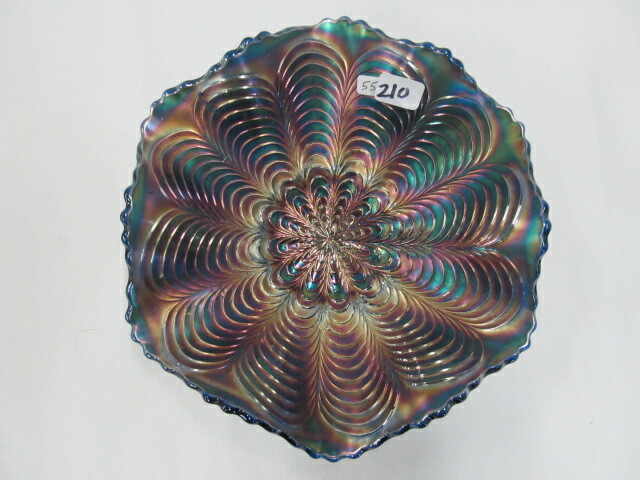 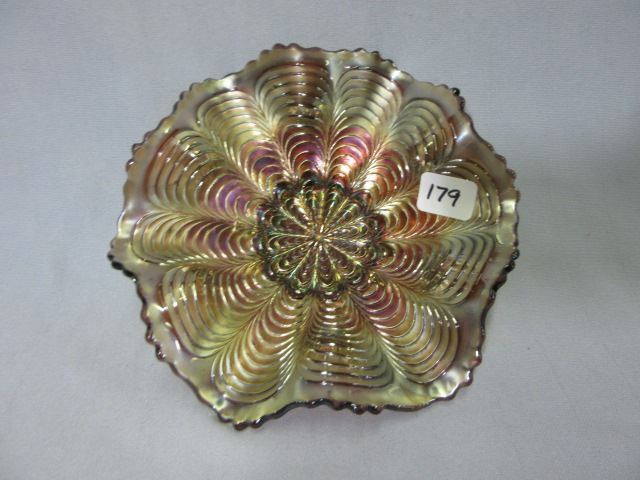 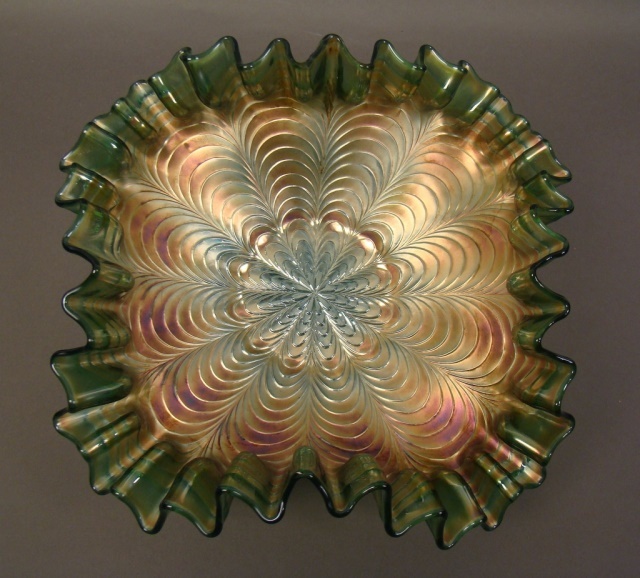 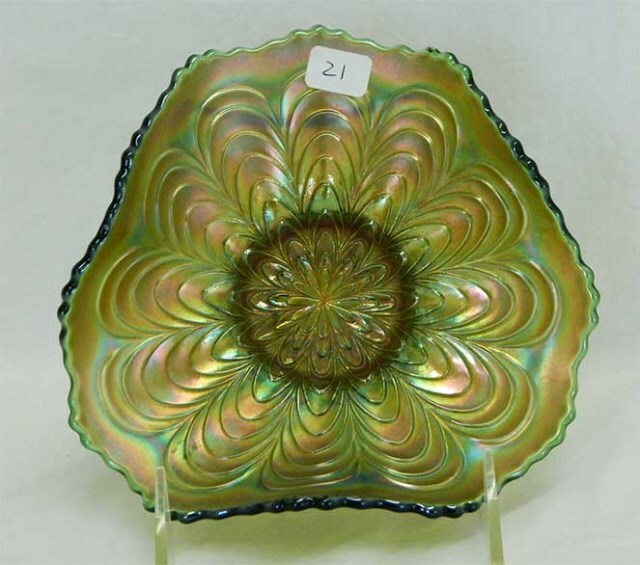 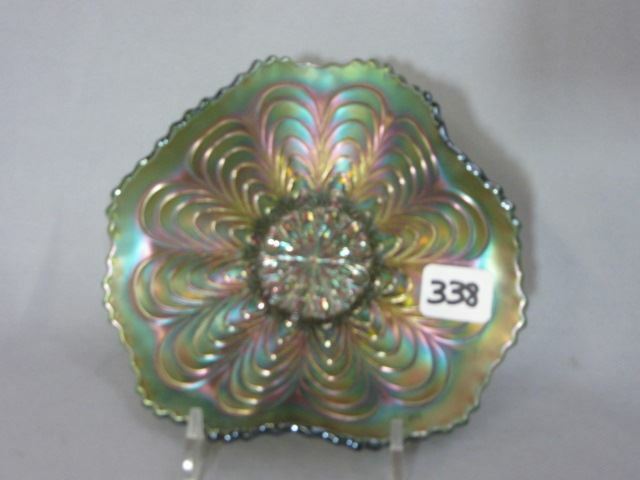 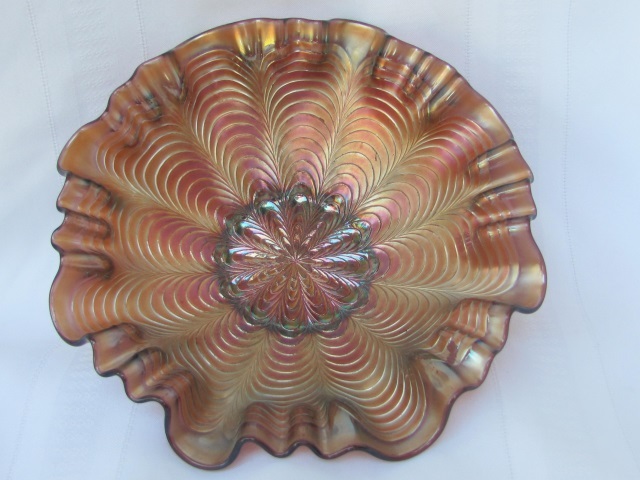 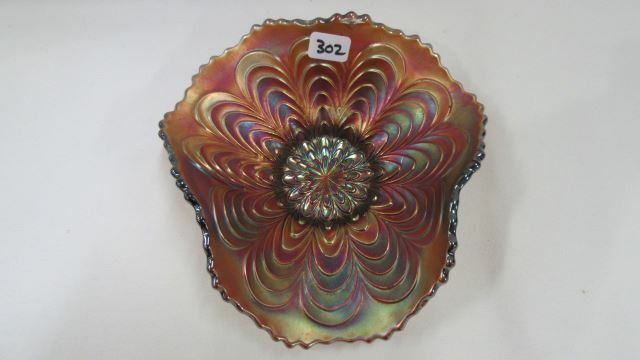 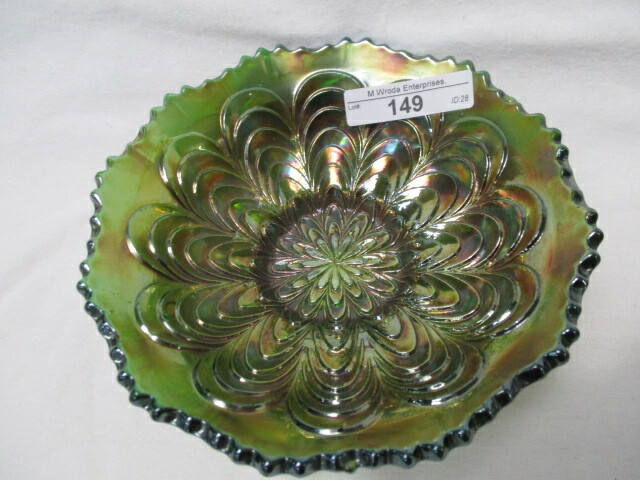 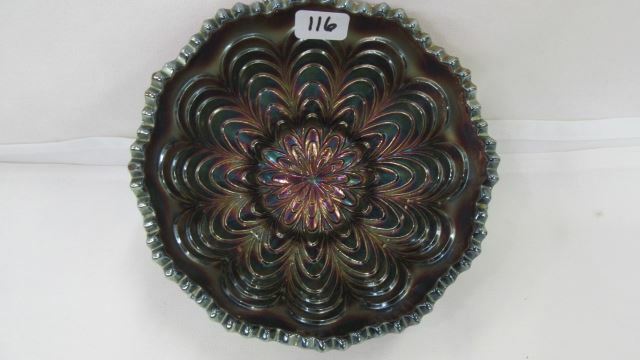 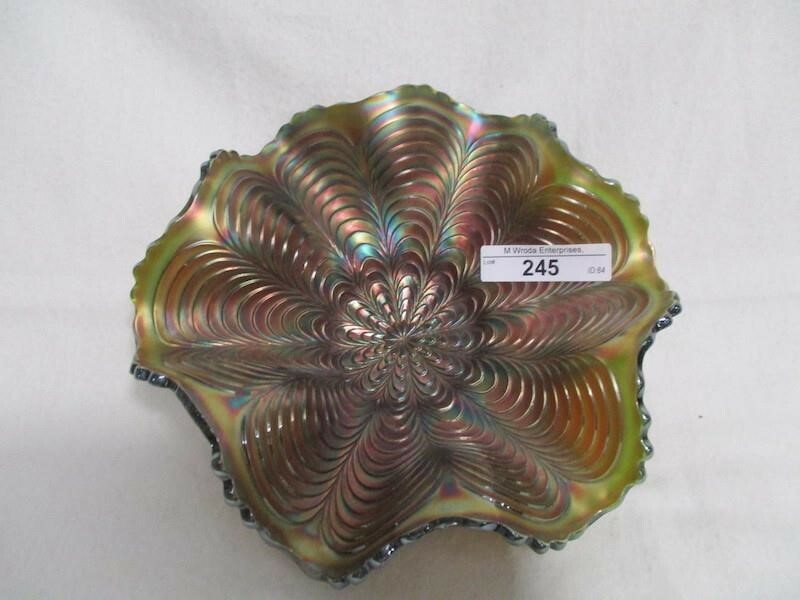 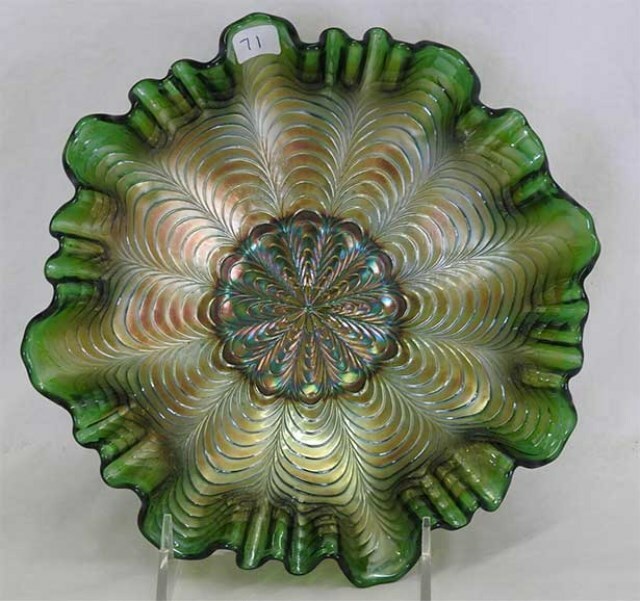 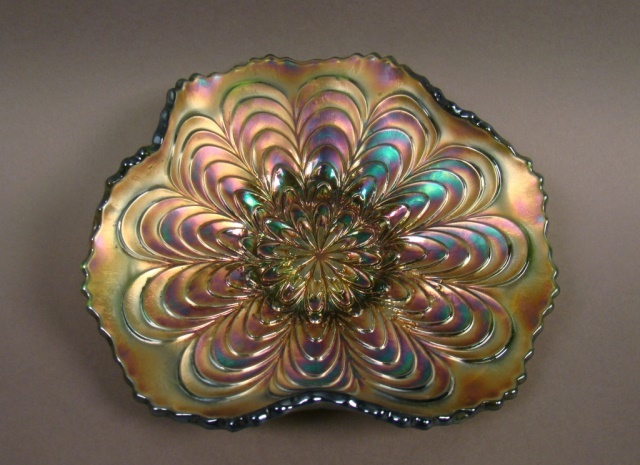 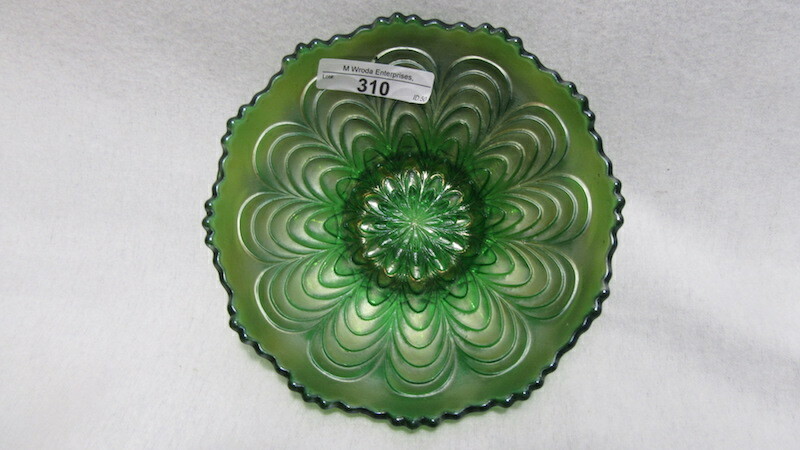 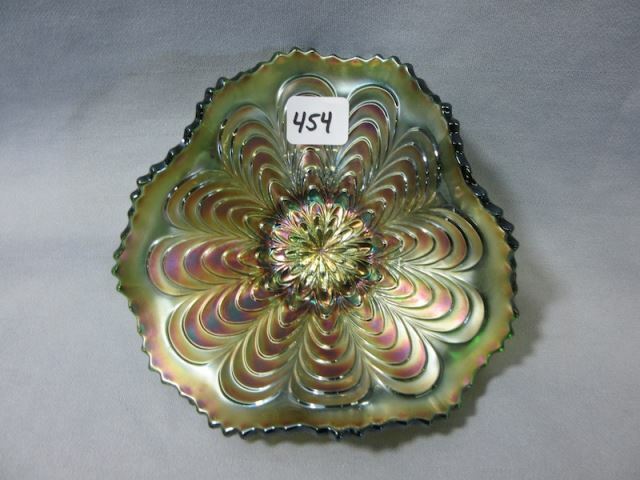 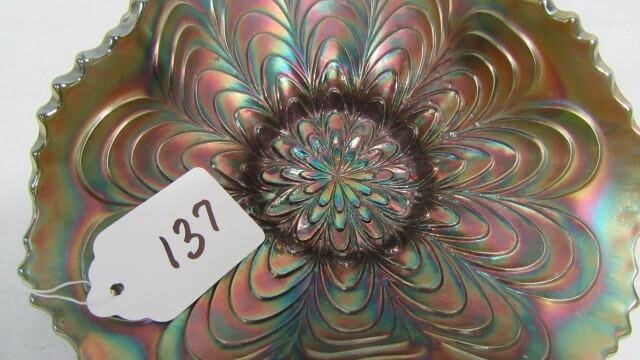 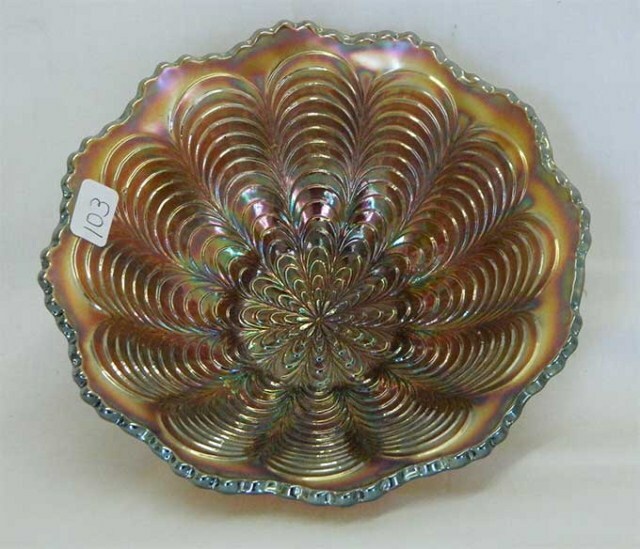 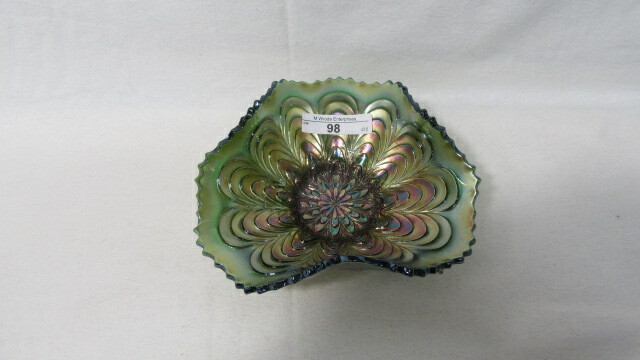 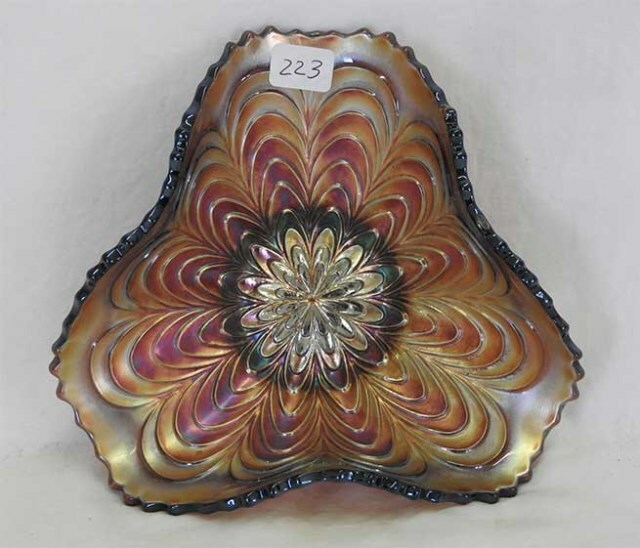 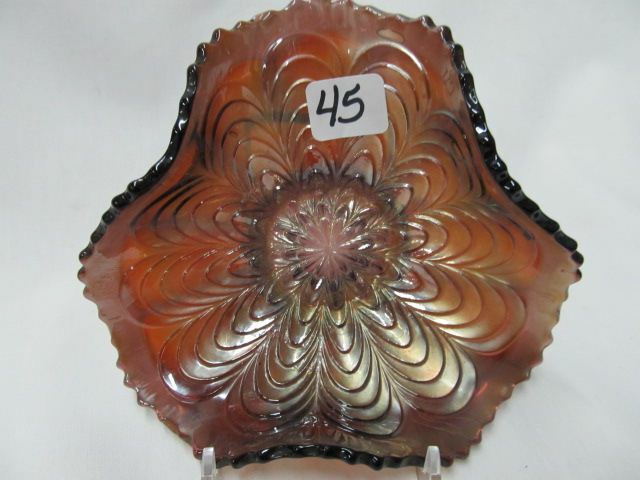 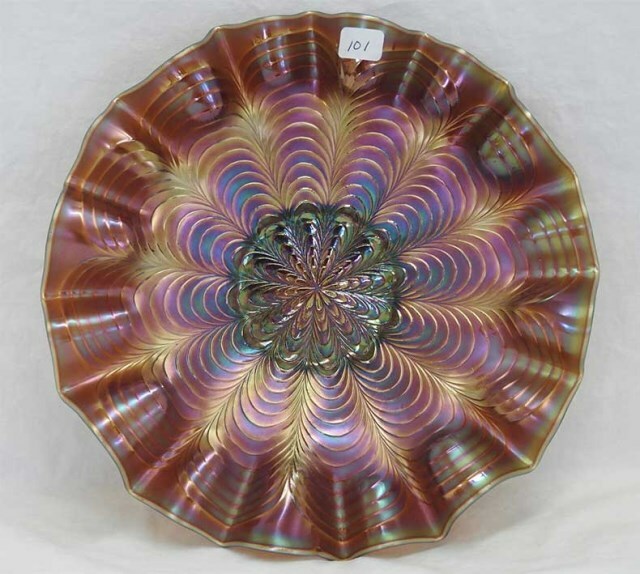 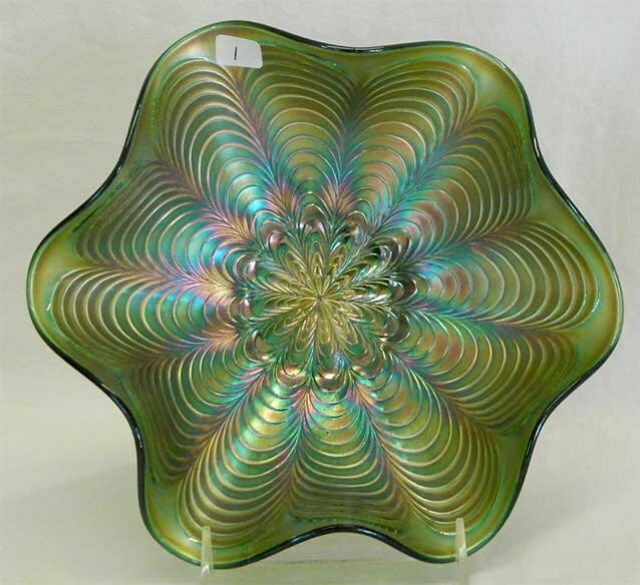 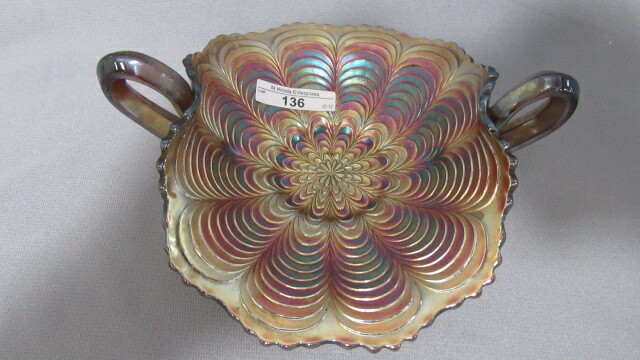 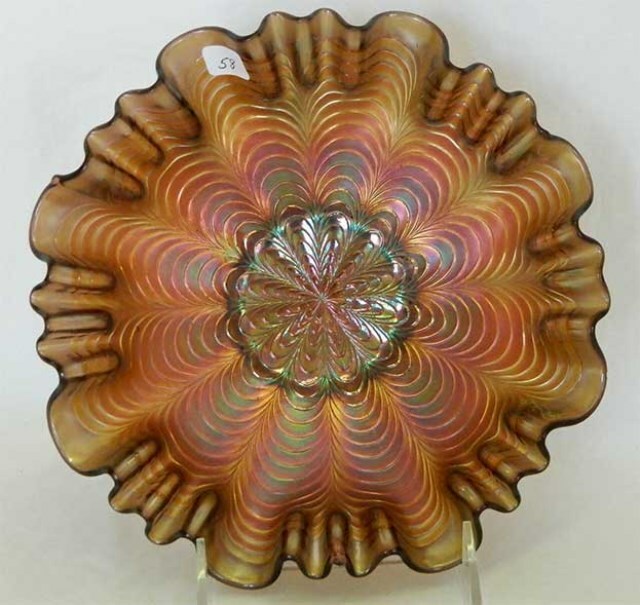 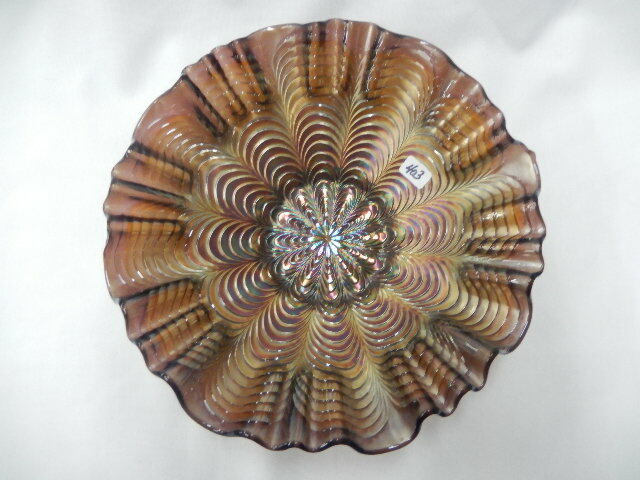 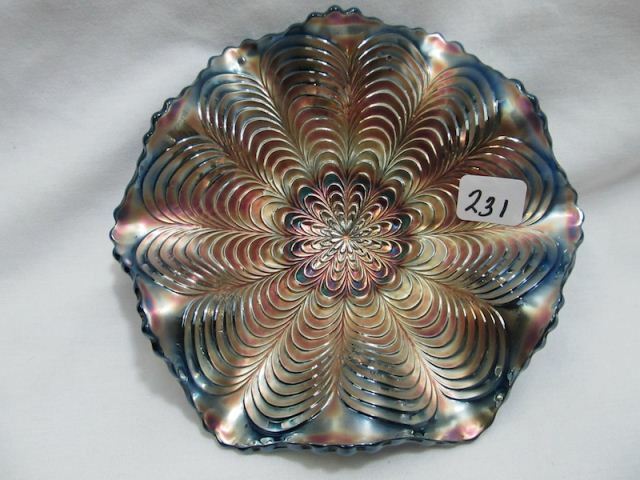 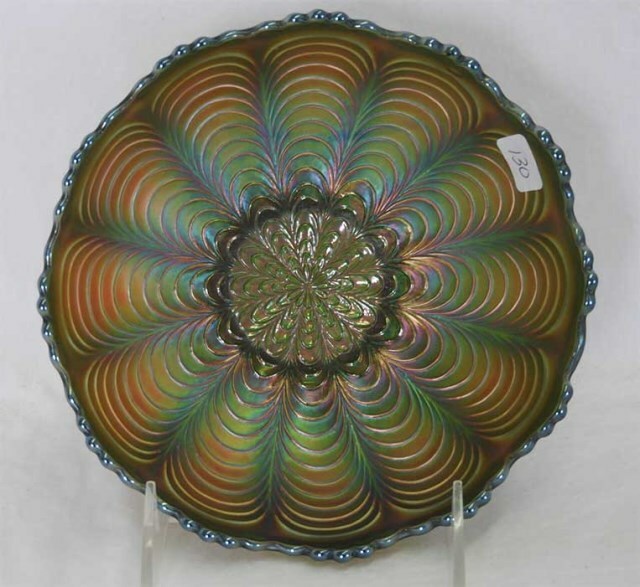 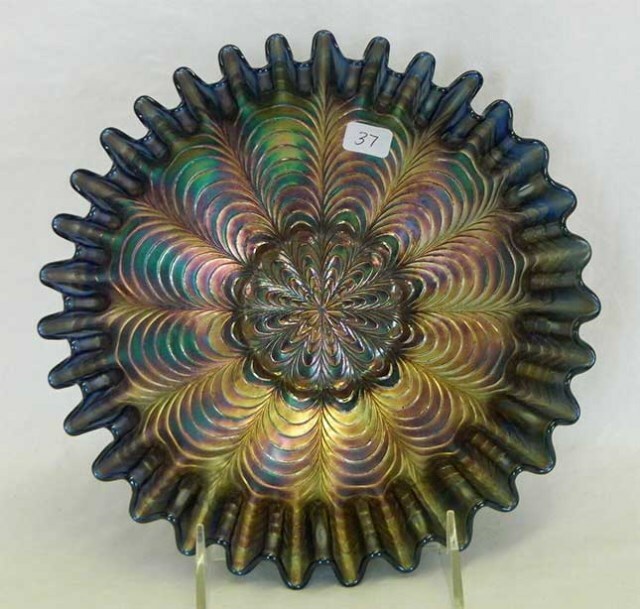 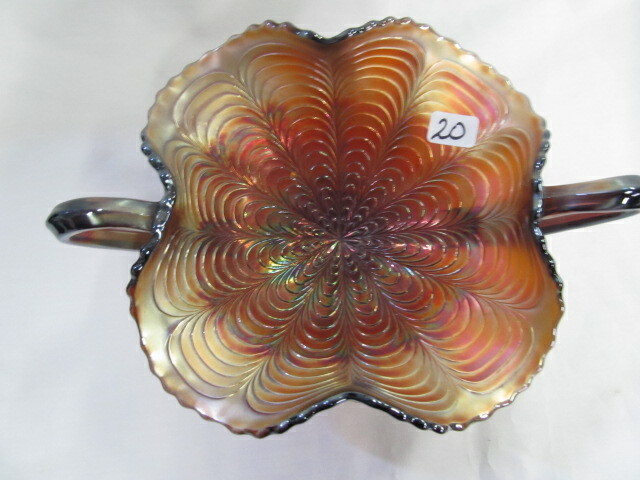 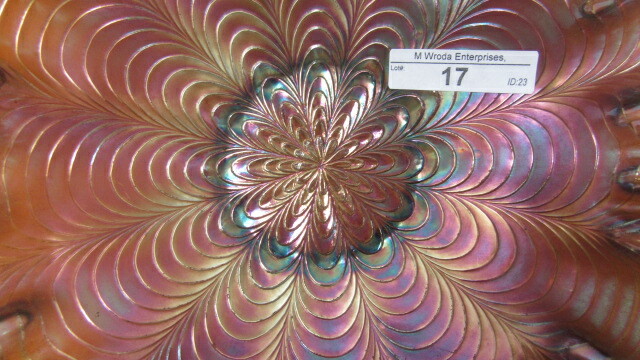 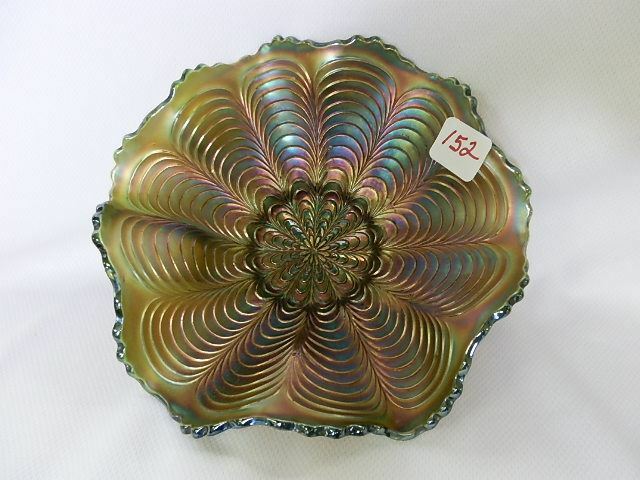 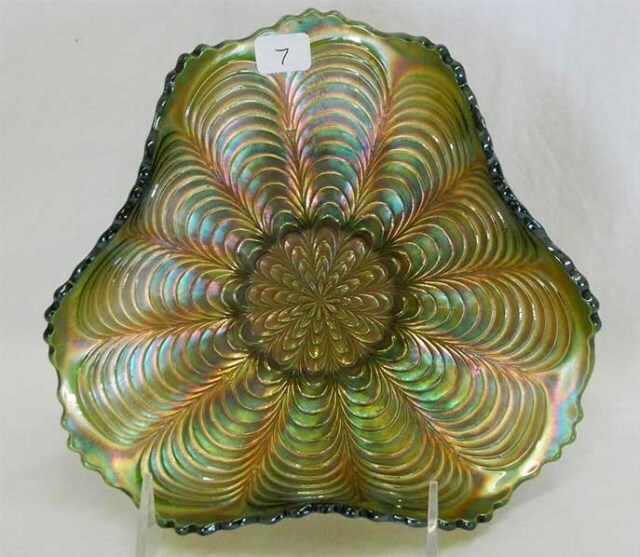 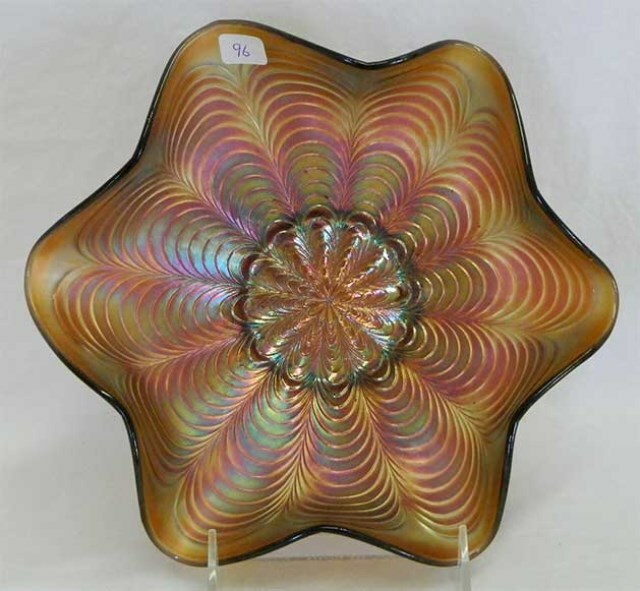 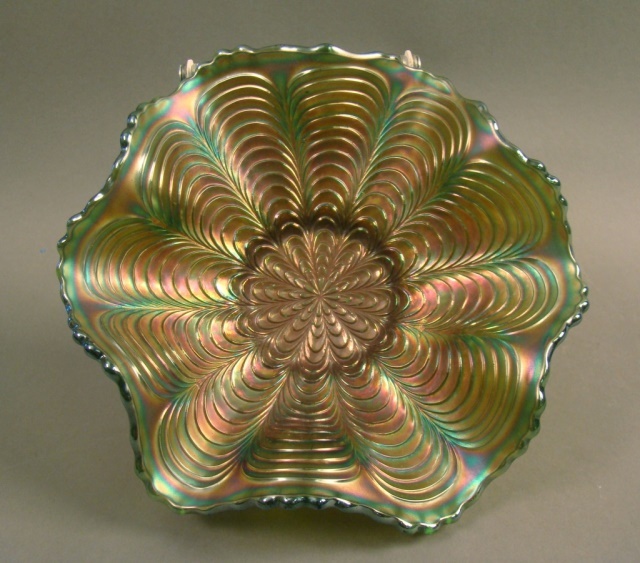 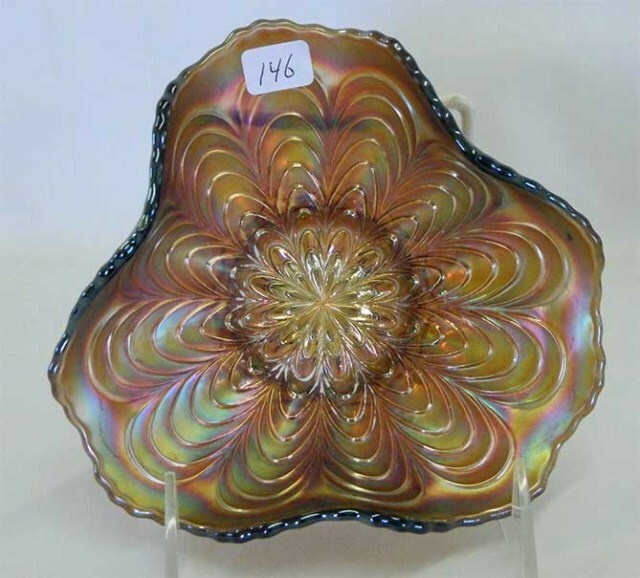 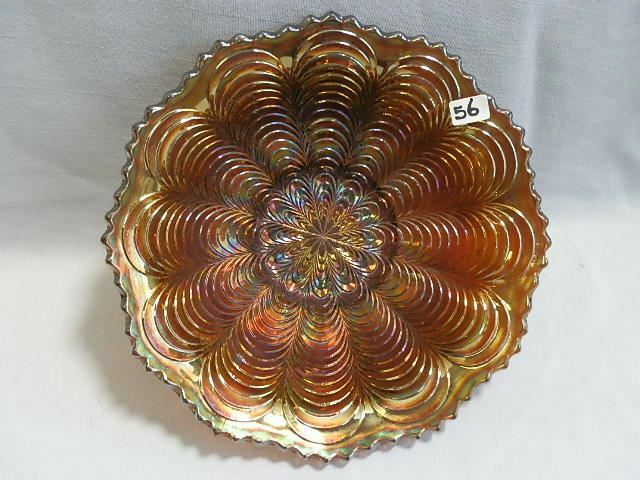 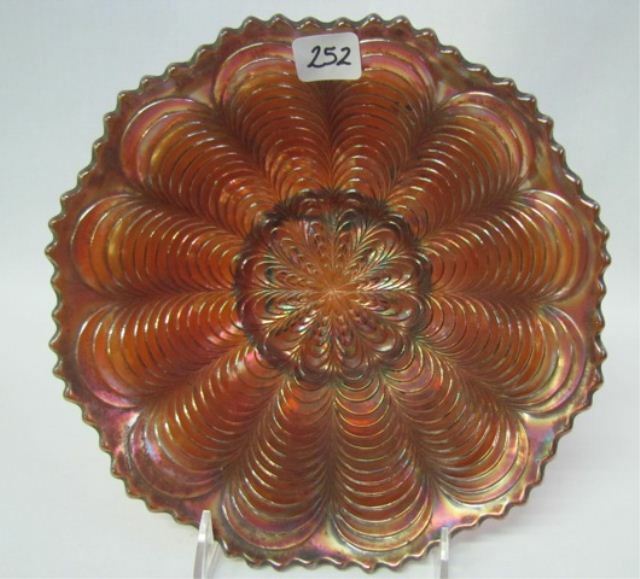 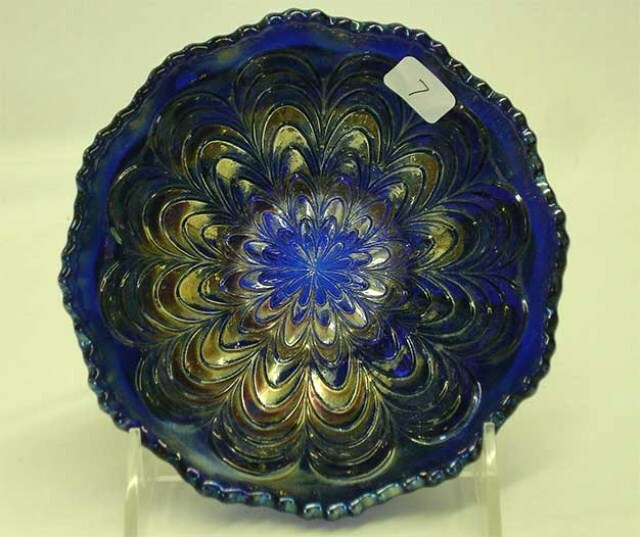 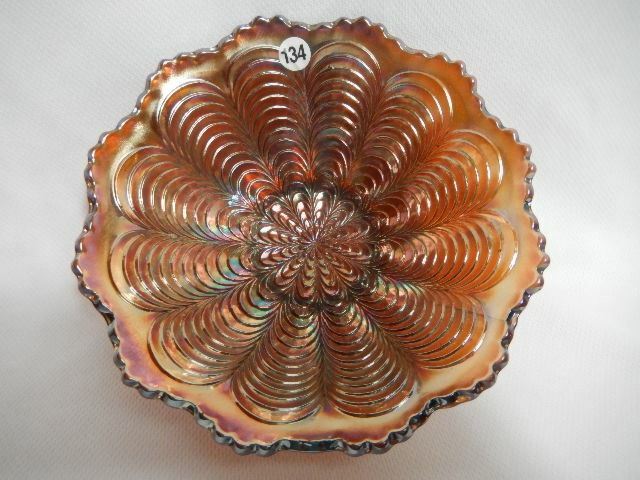 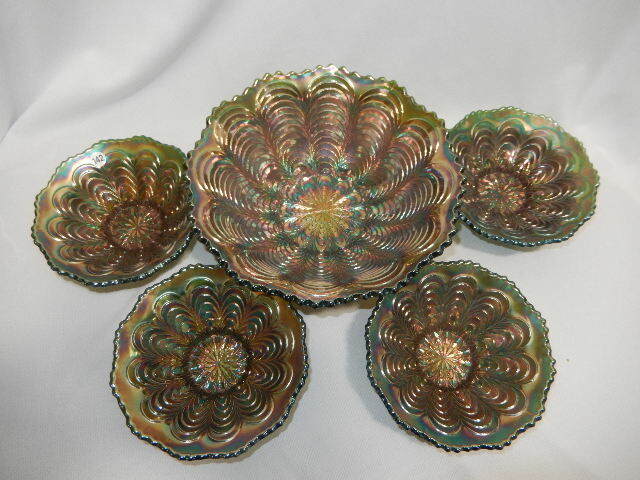 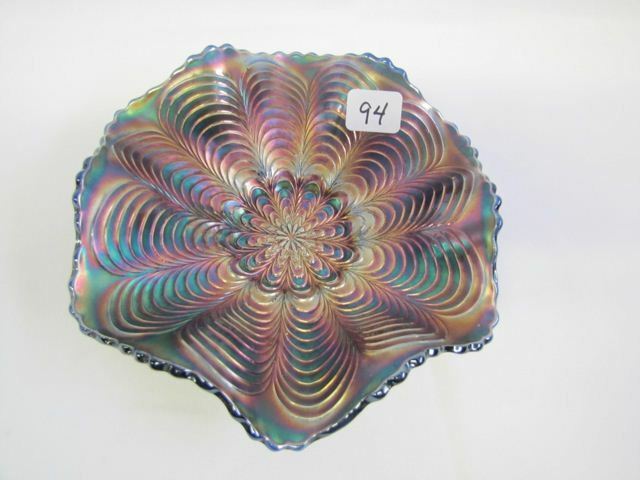 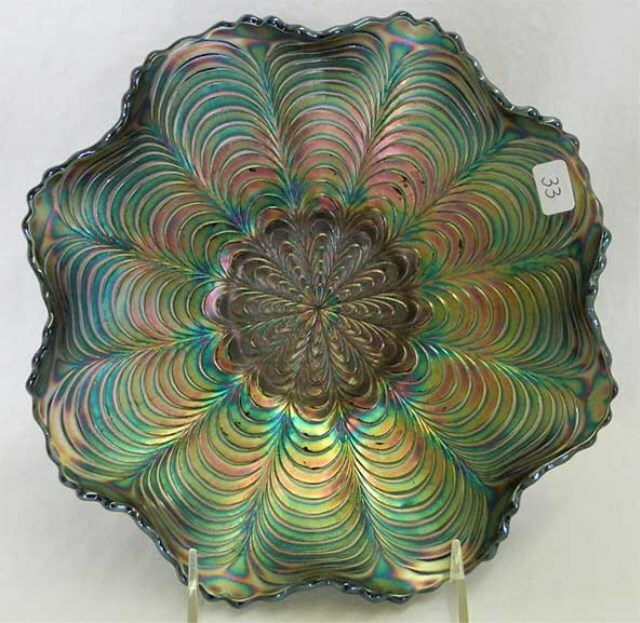 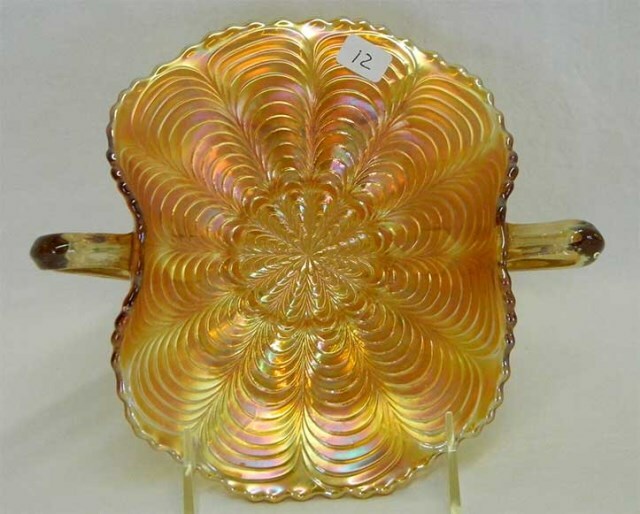 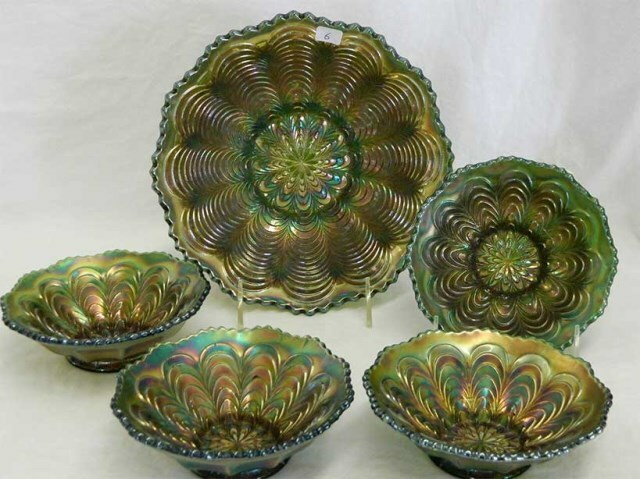 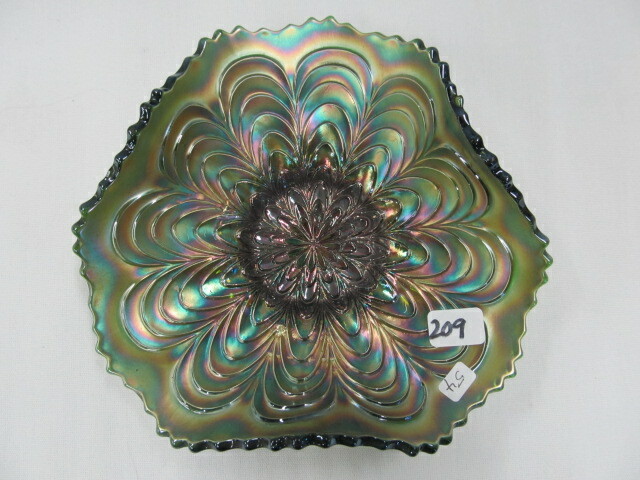 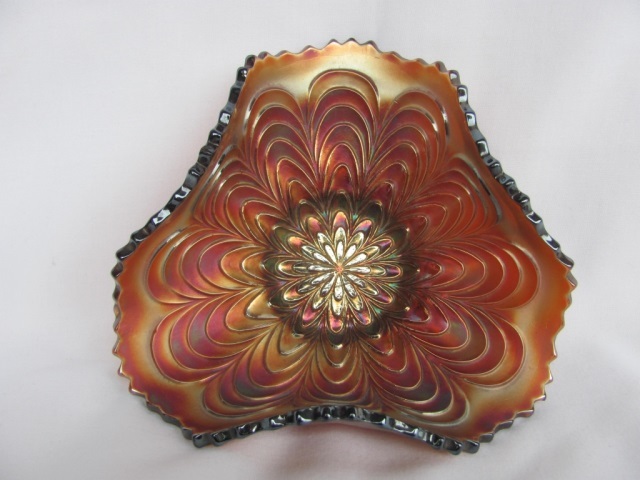 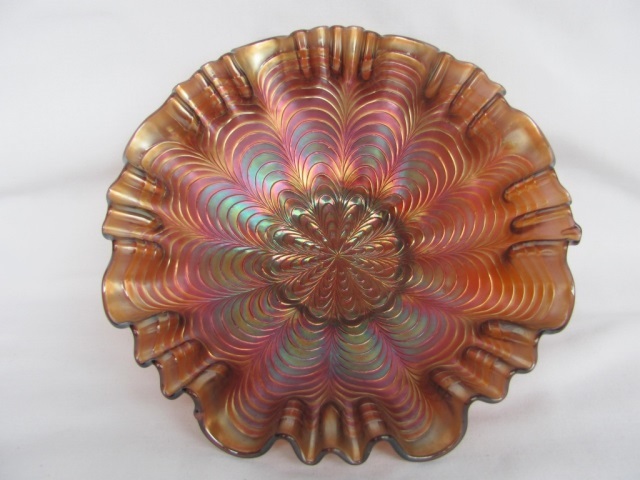 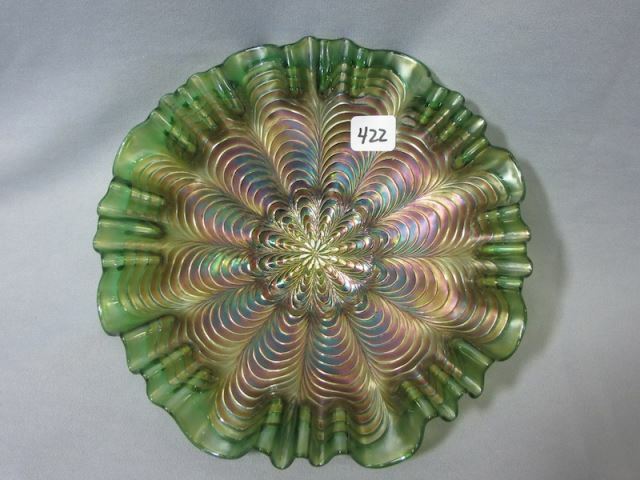 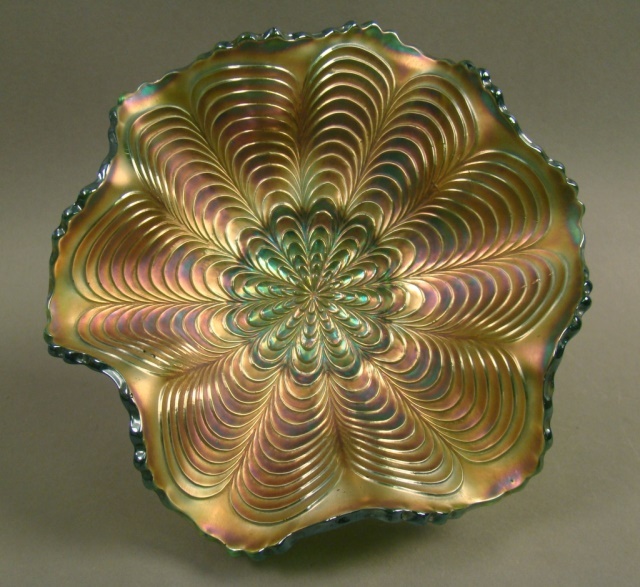 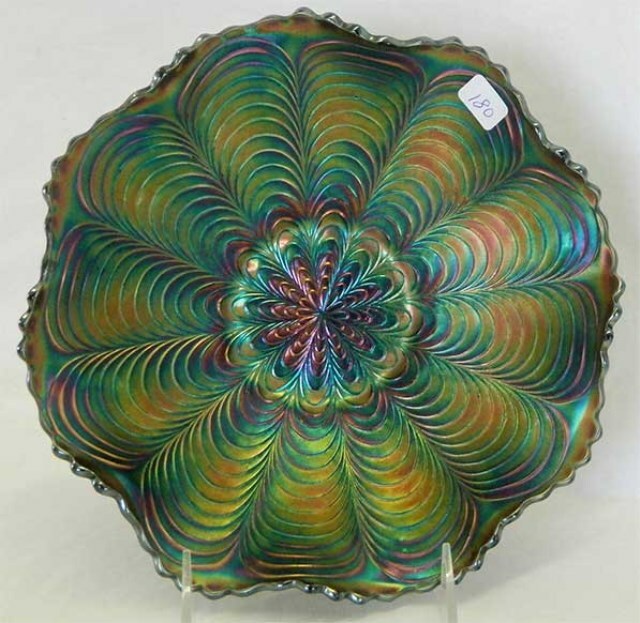 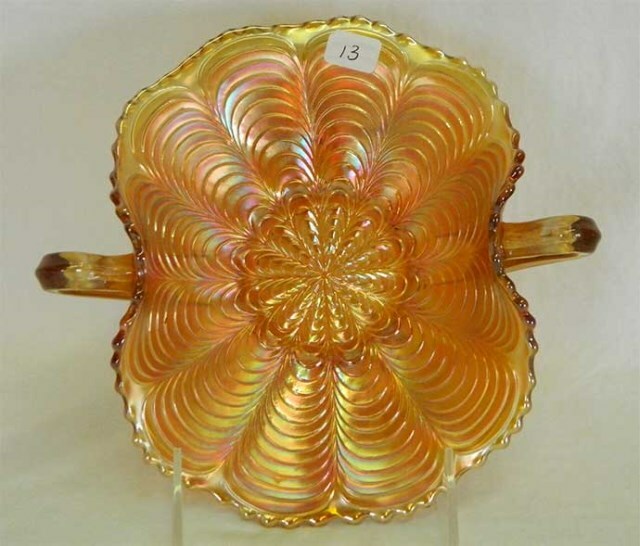 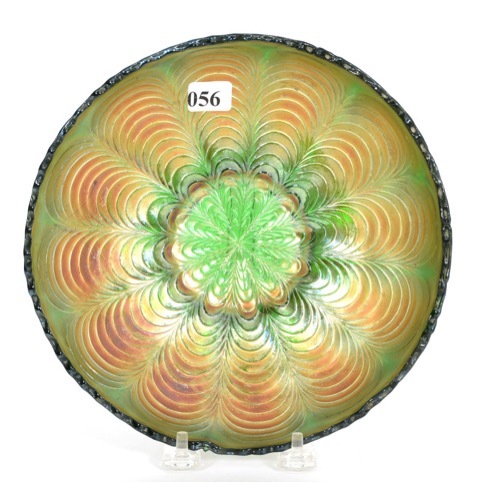 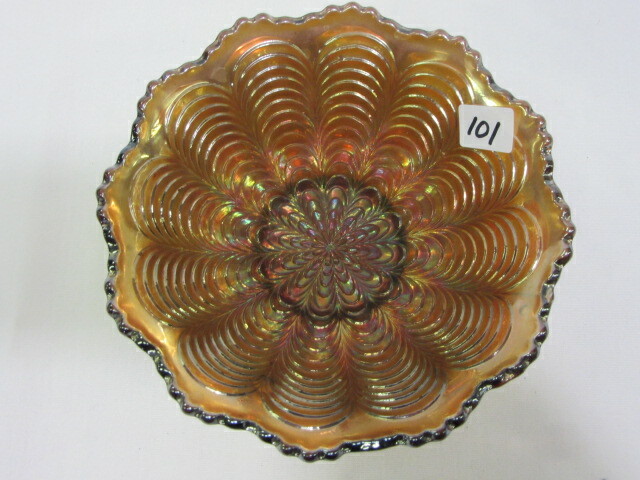 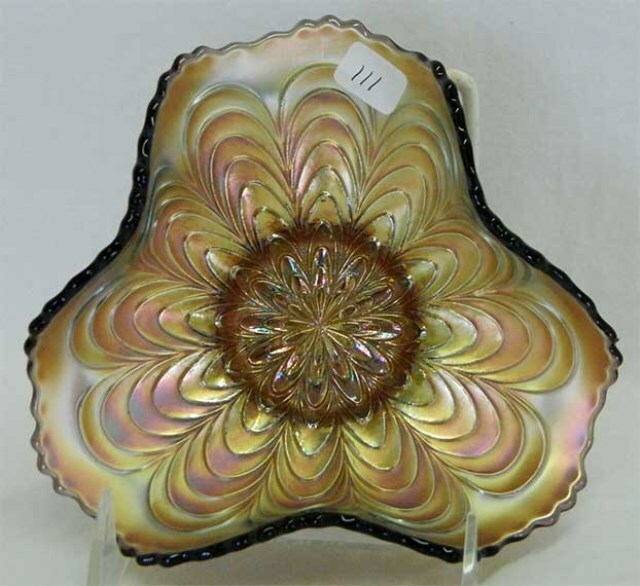 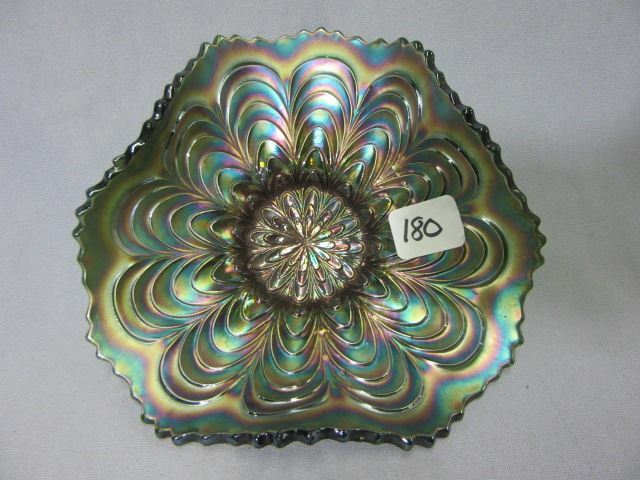 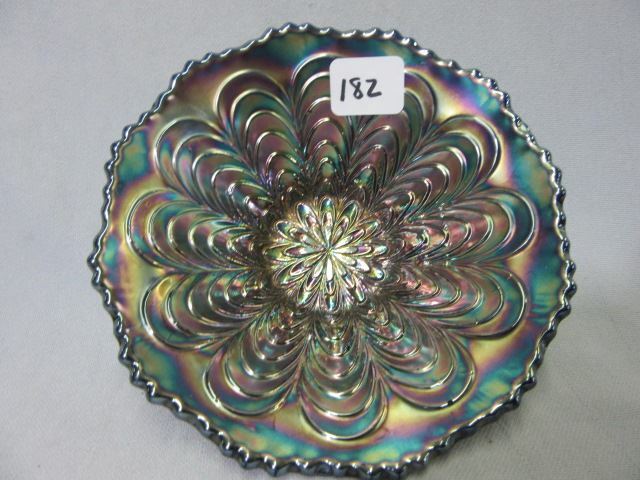 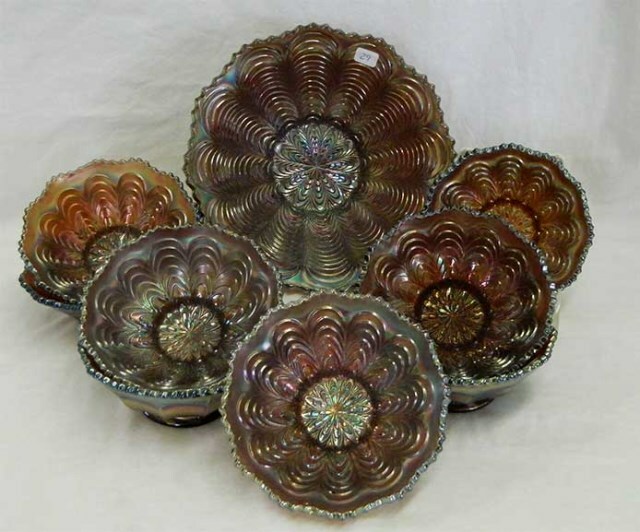 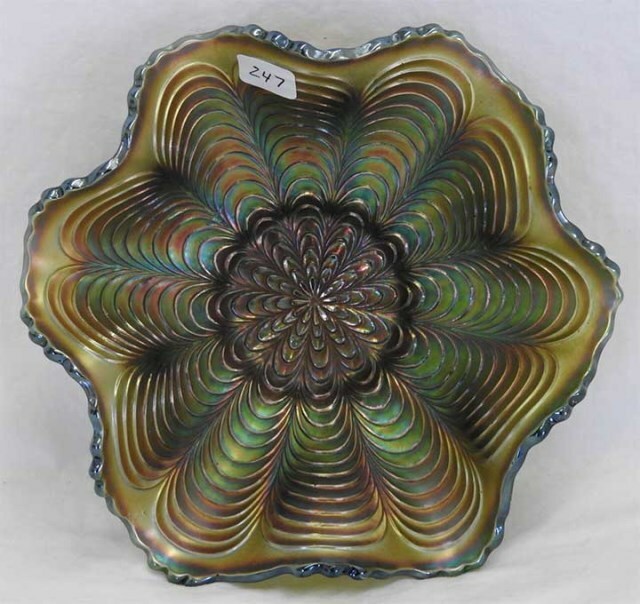 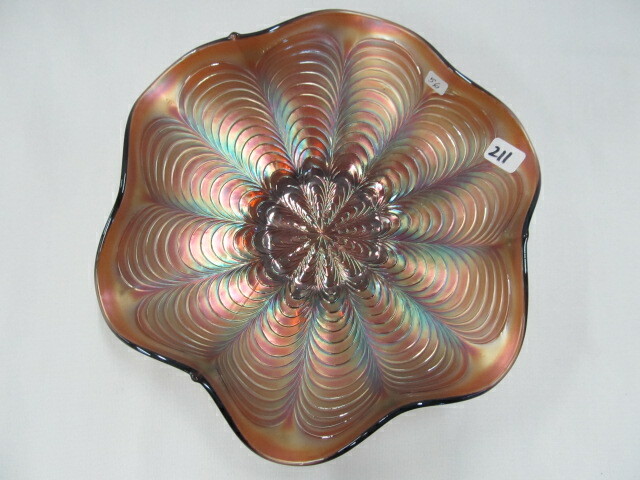 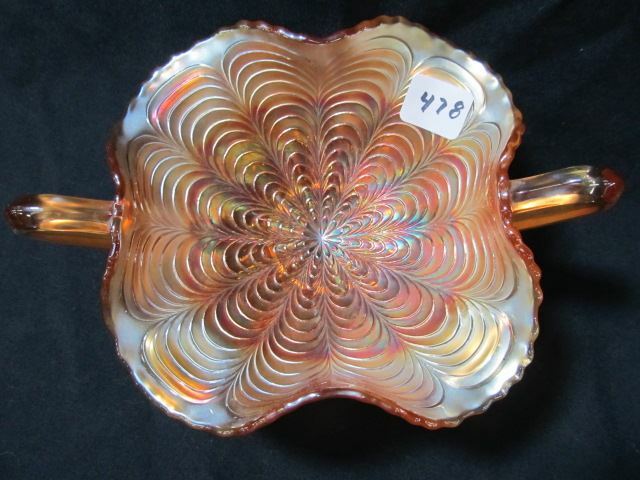 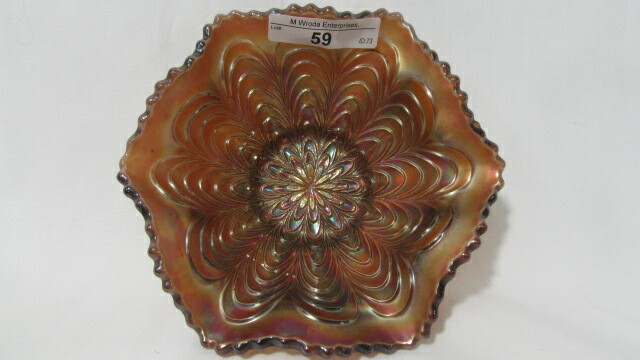 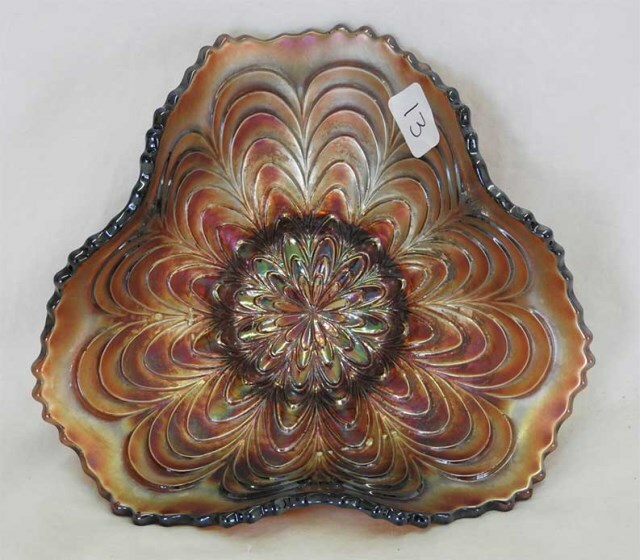 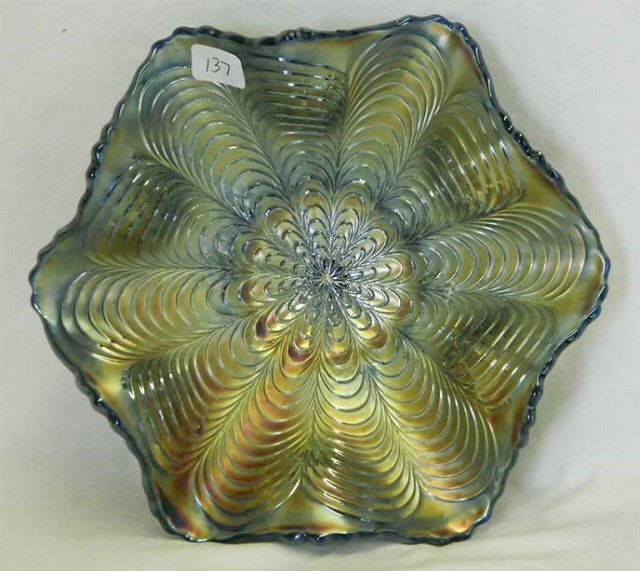 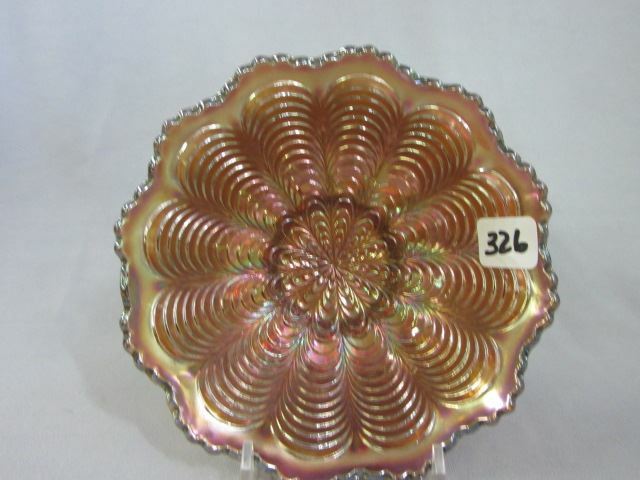 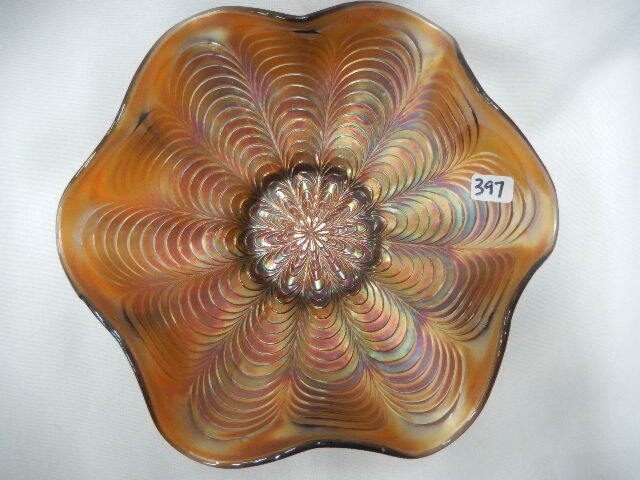 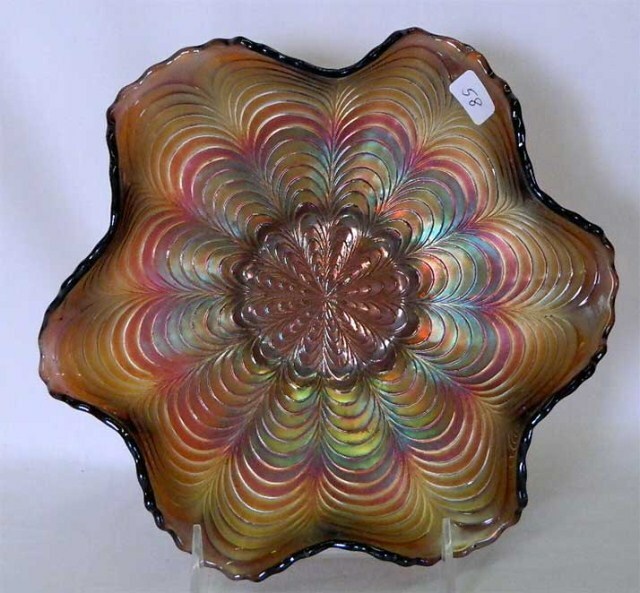 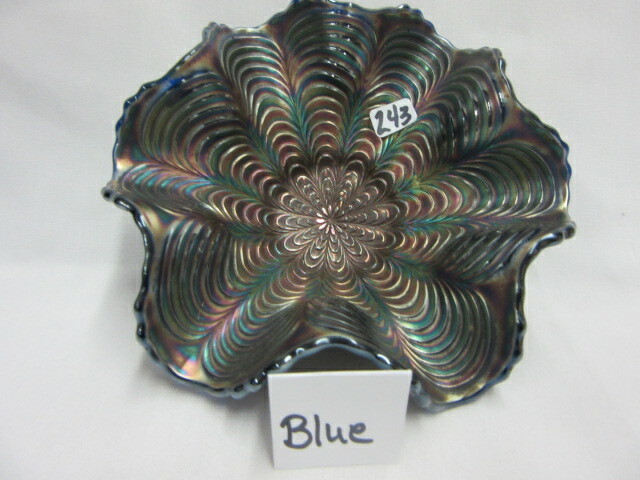 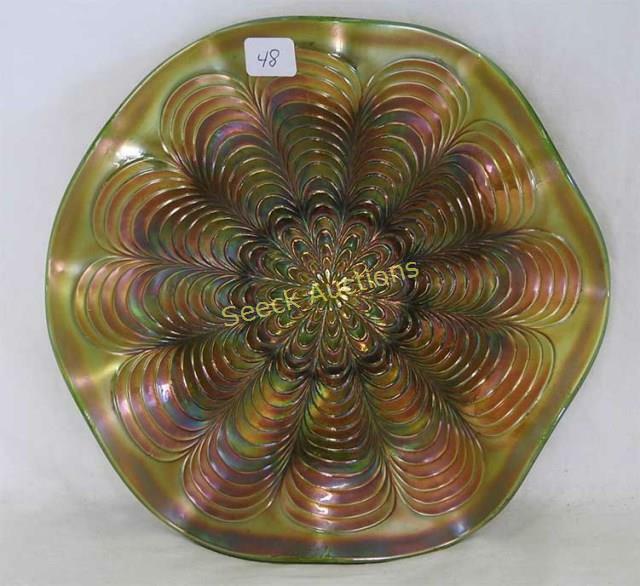 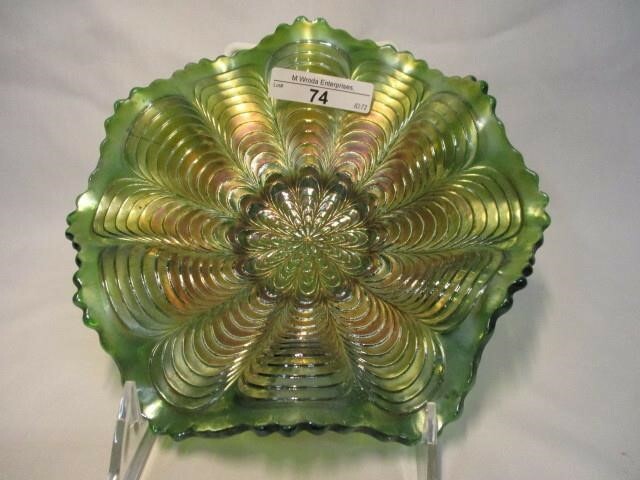 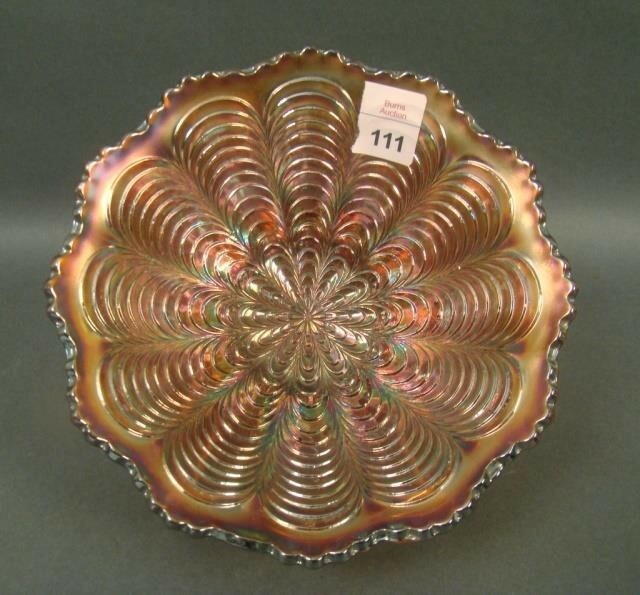 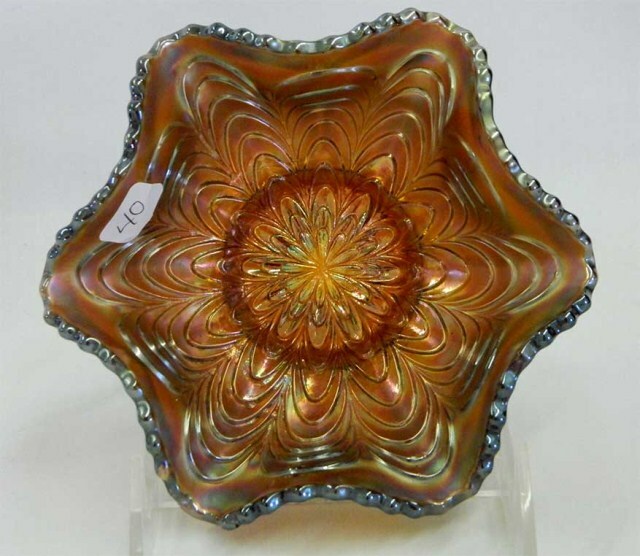 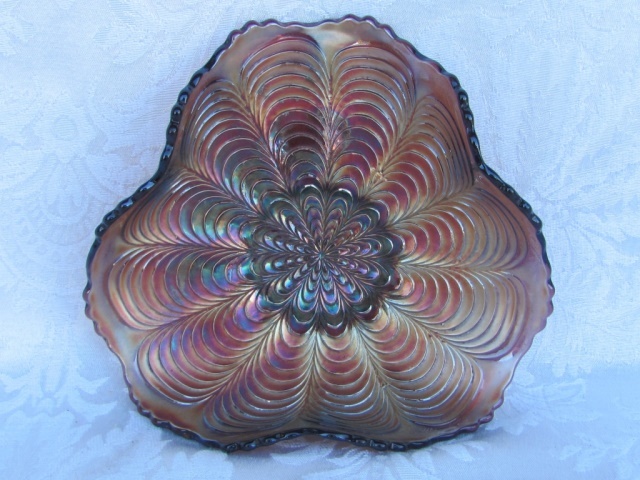 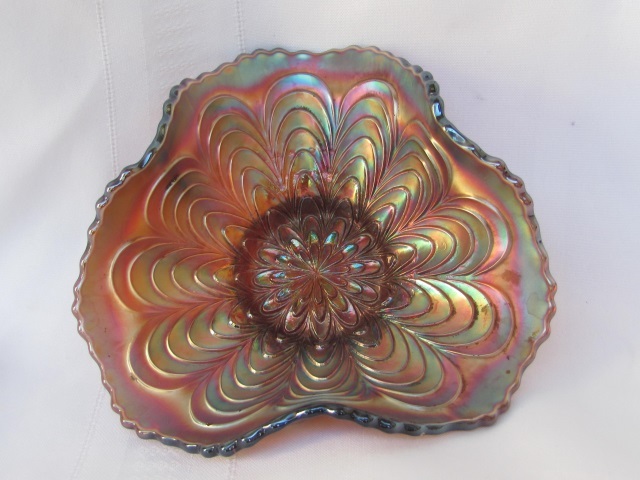 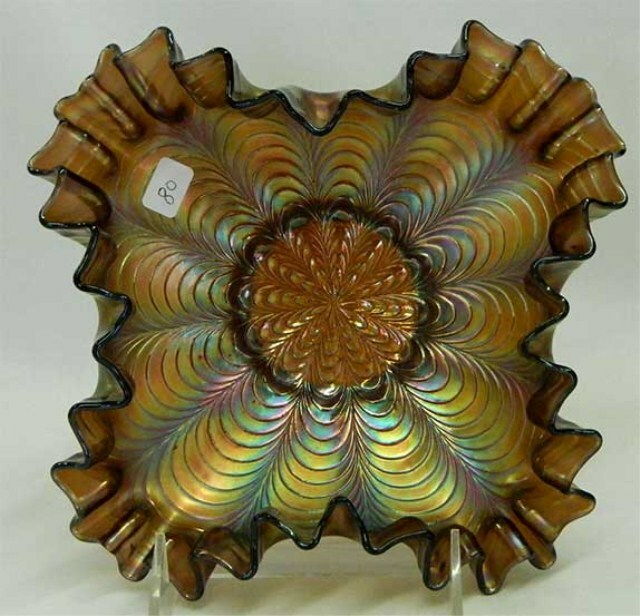 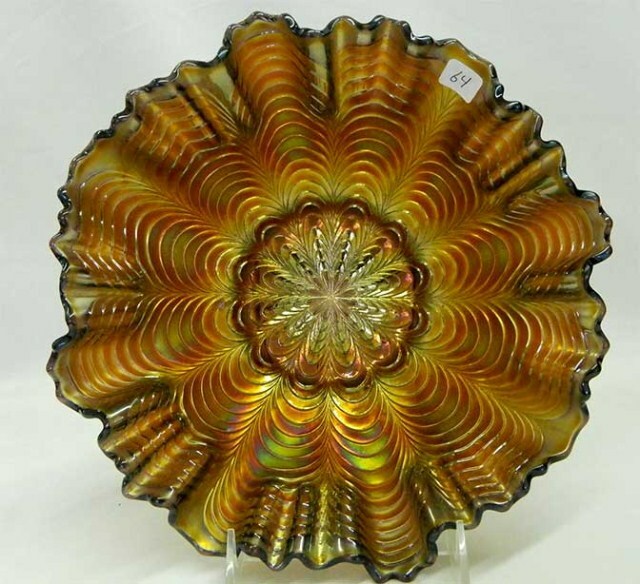 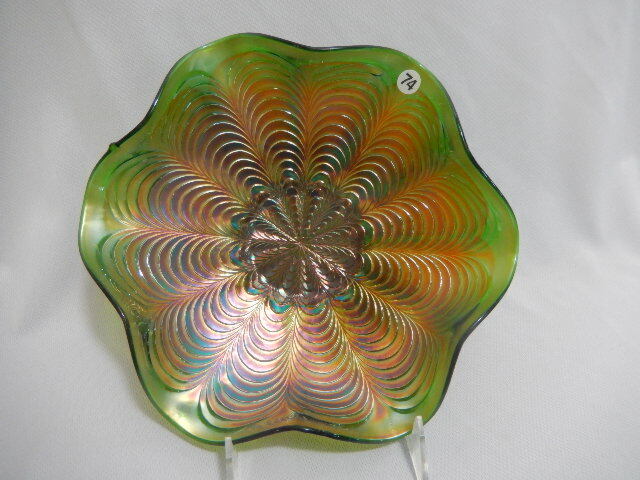 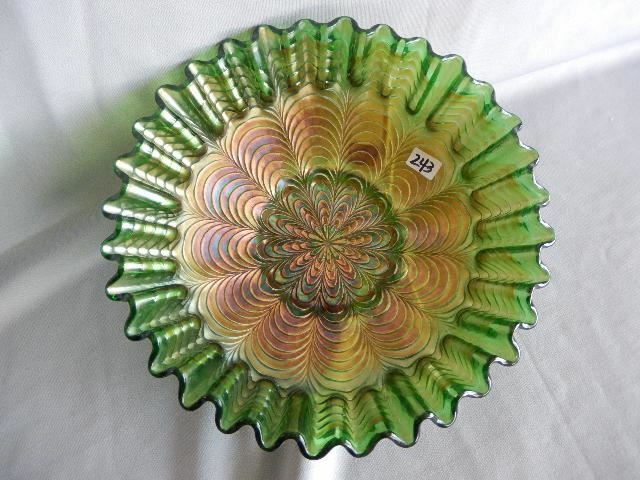 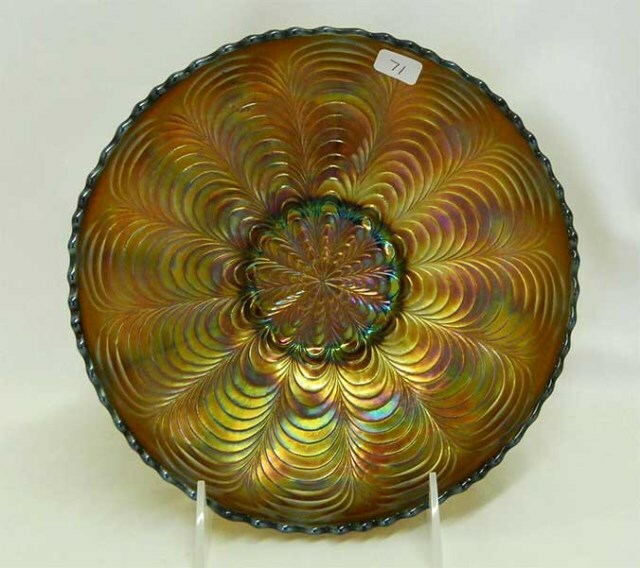 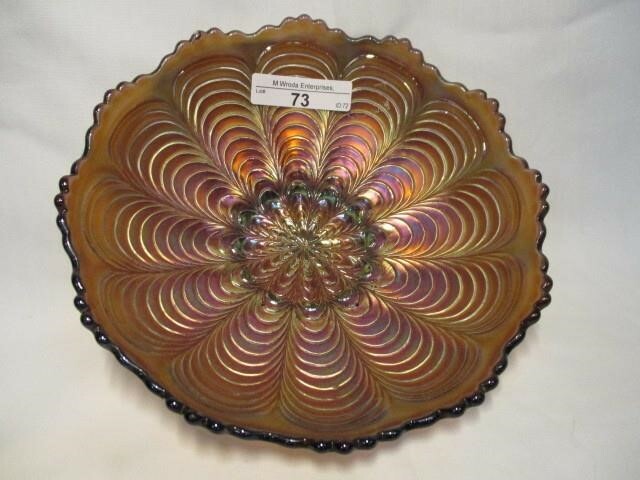 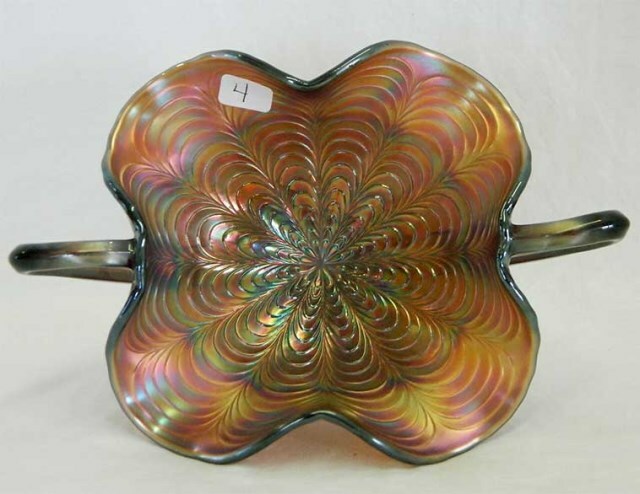 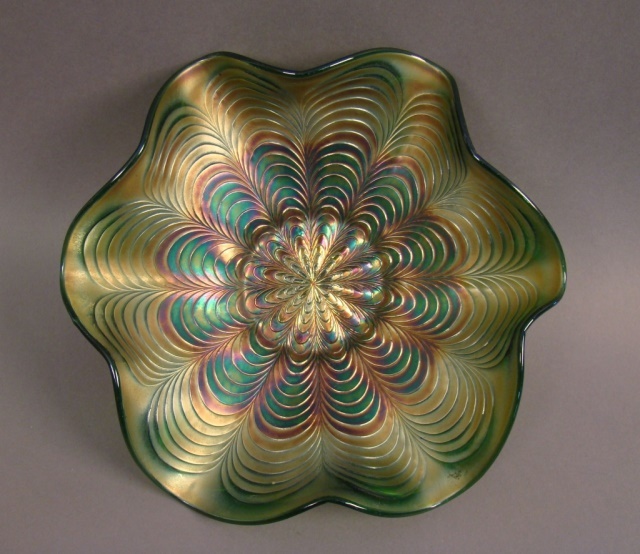 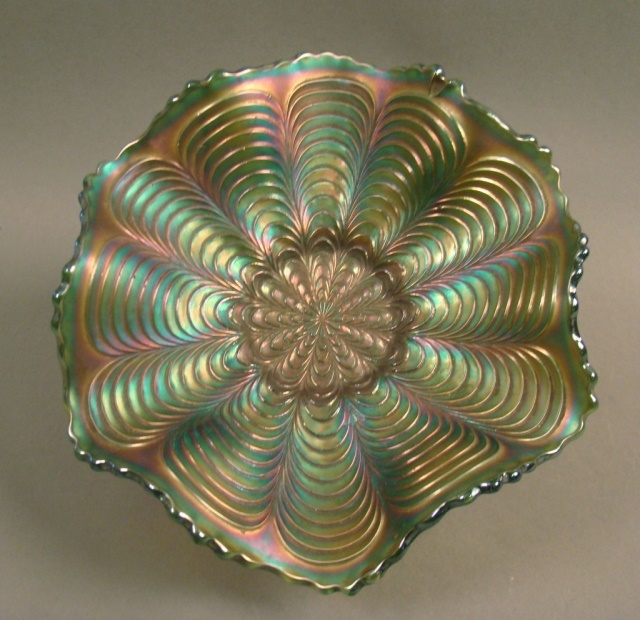 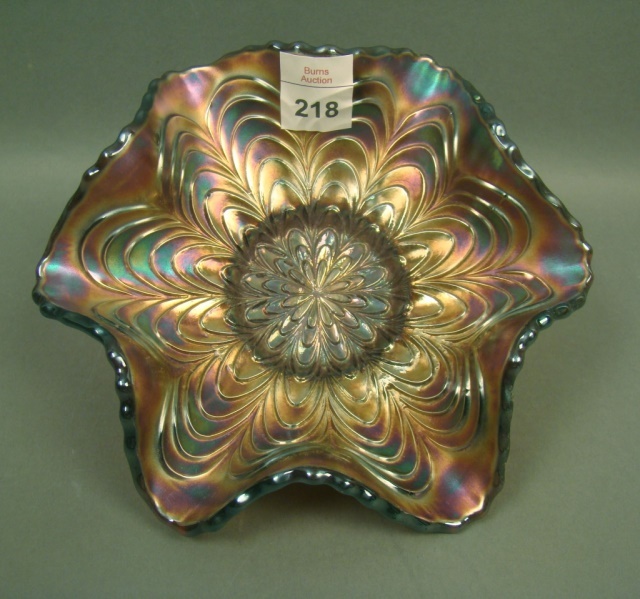 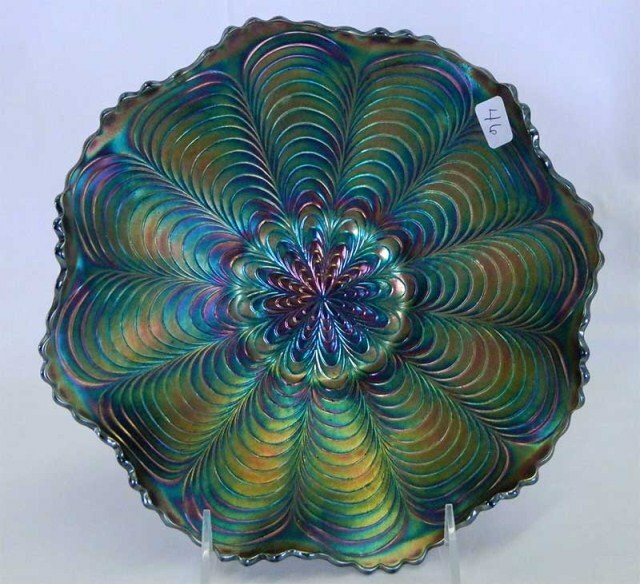 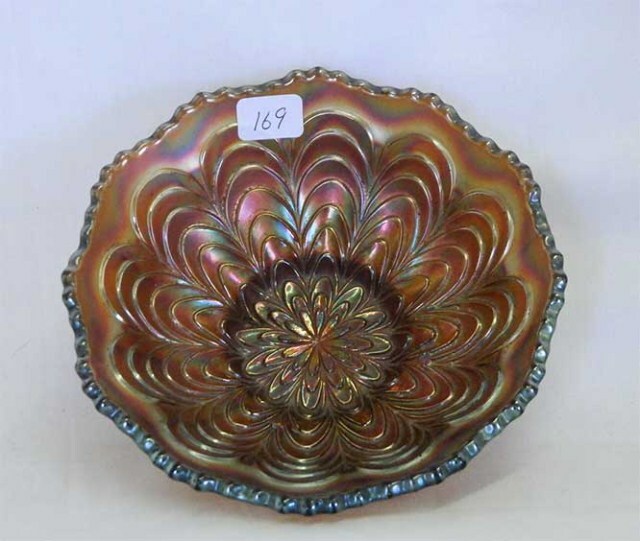 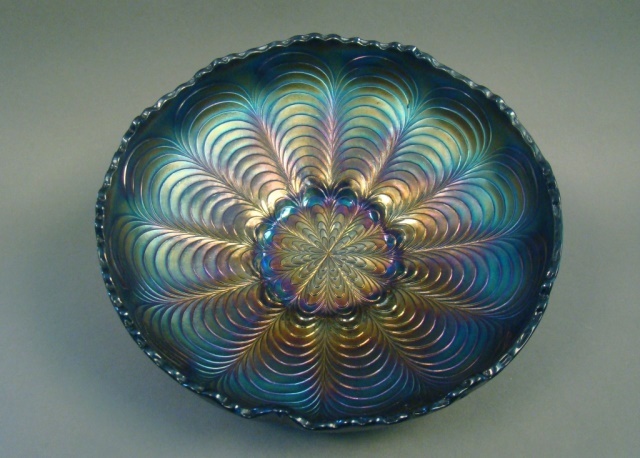 The same approach was used on a few Peacock Tail 7-inch bowls. 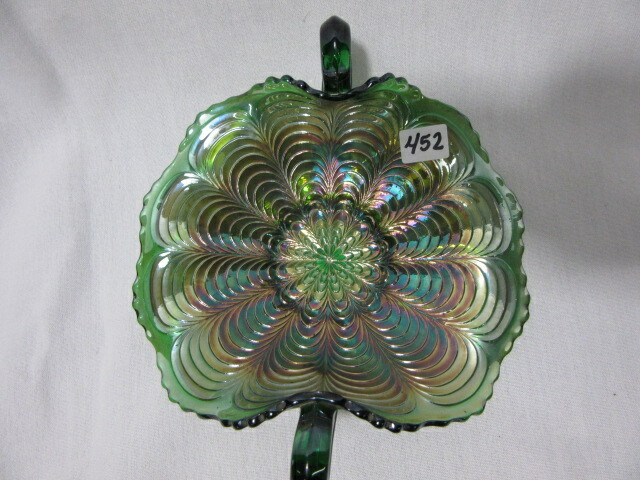 Buddy Beaird sent this photo (above right) of his Delmar Garden Peacock Tail hat in green. 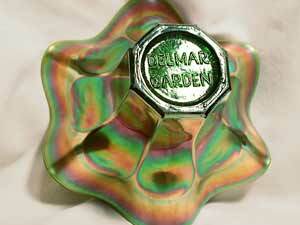 The Delmar Garden lettered hats are quite hard to find.